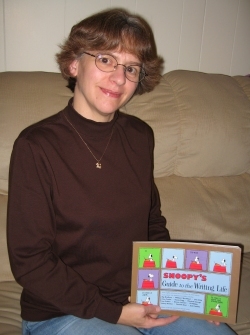 Reviewer Profile – Becky W.C. I am a life-long resident of Lincoln and I’ve been employed with Lincoln City Libraries for over 40 years. I have dabbled in poetry in the past, and I’m an award-winning amateur photographer. Some of my earliest reads and listens, other than Bible stories and verses, which have stuck with me as favorites through the years are Richard Scarry’s Best Word Book Ever, The 500 Hats of Bartholomew Cubbins, and Tikki Tikki Tembo. And I began reading “Peanuts” books and comics at an early age, as well. In the middle grades, I enjoyed the Little House series and jokebooks, and I started sampling mysteries and fantasies. I’ve been reading all my life. My parents facilitated reading and writing at an early age. I also enjoy music and was exposed to popular songs starting when I was very young, which was another way to learn and understand language. I’m not a “big” reader but I am usually reading at least one book and/or magazine at any given time. Having grown up on television, I am more visually oriented to stories and information, but I very much appreciate good use of English and good imagery in writing. Reading is extremely important for the educational, spiritual, and recreational aspects of life, not to mention the opportunity to gain knowledge of history and philosophy. People may think the internet is doing away with books and other printed matter but, in a way, it’s really just a world of picture books on computer — lots of graphics but still a lot of text! Working at a library gives me a tremendous browsing advantage! I also glance at reviews in magazines and online occasionally. Otherwise, I look for things relating to my interests, such as arts and entertainment, romantic suspense, humor, etc. It’s nice to share something that has excited, educated, or otherwise enriched me. And since I’m not often choosing ‘mainstream’ books, I feel I can promote good titles that may have been overlooked or don’t have a broad audience. And my husband, who manages BookGuide, asks me for submissions! At this time, I can’t recommend just one author. What I would suggest instead is that each person, at some time in his or her life, pick up a poetry anthology (which could include song lyrics) and browse through it. Some of the most powerful and wonderful thoughts and images can be found in the lines of poems.